CREATE, ALTER, DROP, etc. : all of these types of structure modification queries are DDL queries! Sure, but why should I use it? Well that’s all fine, but why another subset “language” in SQL? This gives you the ability to perform or rollback a complete action. Only storage engines offering transaction support (like InnoDB) can work with TCL. Welcome to another post in the series of Percona Live featured tutorial speakers blogs! In these blogs, we’ll highlight some of the tutorial speakers that will be at this year’s Percona Live conference. We’ll also discuss how these tutorials can help you improve your database environment. Make sure to read to the end to get a special Percona Live 2017 registration bonus! Øystein: I got into database technology during my Ph.D. studies. I got in touch with a research group in Trondheim, Norway, that did research on highly available distributed database systems. I ended up writing a thesis on query processing in such database systems. What I love most about my job on the MySQL Optimizer Team is that it involves a lot of problem-solving. Why is a query so slow? What can we do to improve it? I have always been very interested in sports results and statistics. Working with query execution times gives me much of the same feeling. Searching for information is another interest of mine, and that is really what query execution is about. Percona: What impacts database performance the most? Øystein: From my point of view – mainly concerned with the performance of read-only queries – the most important performance metric is how much data needs to be accessed in order to answer a query. For update-intensive workloads, it is often about concurrency issues. For SELECT statements, the main thing is to not access more data than necessary. Users should make sure to design their database schema so that the database system can efficiently access the needed data. This includes creating the right indexes. As MySQL developers, we need to develop the right algorithms to support efficient retrieval. We also need to provide a query optimizer that can pick the best query execution plan. Of course, there are other performance aspects that are important. Especially if your data cannot fit in your database buffer pool. In that case, the order in which you access the data becomes more important. The best query plan when your data is disk-bound is not necessarily the same as when all data is in memory. Percona: Your tutorial is called “How to Analyze and Tune MySQL Queries for Better Performance.” What are the most recent MySQL updates that help with tuning queries? EXPLAIN (Structured EXPLAIN (JSON format) and visual EXPLAIN in MySQL Workbench). We also added Optimizer Trace, which gives insight into how the optimizer arrived at a certain query plan. All this made it easier to identify queries that need tuning, understand how a query is executed and what might be done to improve it. In MySQL 5.7, we added a new syntax for optimizer hints, and provided a lot of new hints that can be used to influence the optimizer to change a non-optimal query plan. We also provided a query rewrite plugin that makes it possible to tune queries even when it is not possible to change the application. MySQL 5.7 also came with improvements to EXPLAIN. It is now possible to get the query plan for a running query, and Structured EXPLAIN shows both estimated total query cost and the cost per table. A more experimental feature allows you to provide your own cost constants to the optimizer. This way, you can configure the optimizer to better suit your particular system. For MySQL 8.0 we are continuing to improve tunability by adding more optimizer hints. At the same time, we are working hard on features that will reduce the need for tuning. Histograms and awareness of whether data is in memory or on disk make the optimizer able to pick better query plans. Øystein: While the query optimizer in most cases will come up with a good query plan, there are some cases where it won’t generate the most optimal query plan. This tutorial will show how you can identify which queries need tuning, how you can further investigate the issues and what types of tuning options you have for different types of queries. By attending this tutorial, you will learn how to improve the performance of applications through query tuning. 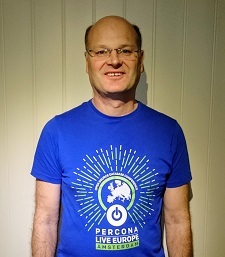 Øystein: I am looking forward to interacting with MySQL users, discussing the query performance issues they might have, and learning how I can help with their issues. You can find out more about Øystein Grøvlen and his work with databases at his blog, or follow him on Twitter: @ogrovlen. Want to find out more about Øystein and MySQL query optimization? Register for Percona Live Data Performance Conference 2017, and see his tutorial How to Analyze and Tune MySQL Queries for Better Performance. Use the code FeaturedTalk and receive $30 off the current registration price! So, as you can see above, you have several choices. You could (a) do nothing and wait for threads 10 and 403 to complete and then thread 1264 can get the lock. to see if the undo log entries for those threads are high. If they are, rolling back these transactions might take a long time. Lastly, you can instead (c) kill the DDL thread 1264 to free up other queries. You should then reschedule the DDL to run during offpeak hours. I would add at least another 1000 to this number for system tablespace and other miscellaneous open file needs. You might want to go even higher to accommodate for a growing number of tables. Check the maximum number of files you can keep open in the system. If this number is too small Percona Xtrabackup might monopolize the open files in the system, causing other processes to fail when they try to open files. This can cause MySQL Server to crash, and other processes to fail. Alternatively, you can pass it as a command-line option, or run ulimit -n 2000000 before running the backup command. Specifying a “soft” limit in this file eliminates the need to run ulimit before Percona XtraBackup, or specifying it in the configuration. With these configuration adjustments, you should be able to use Percona XtraBackup to backup MySQL instances containing millions of tables without problems. What if you can’t allow Percona XtraBackup to open that many files? Then there is the option –close-files that won’t normally require increasing the limit to the number of open files. Using this option, however, might cause the backup corruption if you’re doing DDL operations during the backup. From where does this strange limitation requiring you to keep all tablespaces open come? It comes from this issue. In some cases, DDL operations such as RENAME TABLE might cause the wrong file to be copied, and unable to be caught up by replying to InnoDB redo logs. Keeping the file open clearly shows which file corresponds to a given tablespace at the start of a backup process, and gets handled correctly. 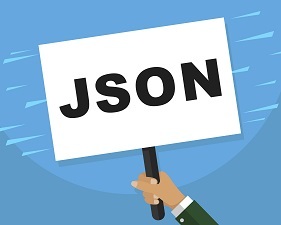 Since it was implemented in MySQL 5.7, we can use JSON as a data type. In this webinar, we will review some of the useful functions that have been added to work with JSON. We will examine and analyze how JSON works internally, and take into account some of the costs related to employing this new technology. Why don’t we keep using VARCHAR? What limitations should we take into account? 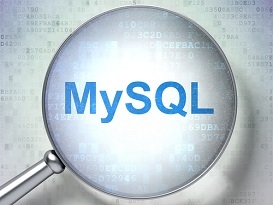 What are the benefits of using MySQL JSON support? 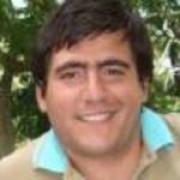 David studied Computer Science at the National University of La Plata, and has worked as a Database Consultant since 2008. He worked for three years in a worldwide platform of free classifieds, until starting work for Percona in November 2014 as part of the Consulting team. At the end of this year, on December 31, 2016, a new leap second gets added. Many of us remember the huge problems this caused back in 2012. Some of our customers asked how they should prepare for this year’s event to avoid any unexpected problems. It’s a little late, but I thought discussing the issue might still be useful. The first thing is to make sure your systems avoid the issue with abnormally high CPU usage. This was an problem in 2012 due to a Linux kernel bug. After the leap second was added, CPU utilization sky-rocketed on many systems, taking down many popular sites. This issue was addressed back in 2012, and similar global problems did not occur in 2015 thanks to those fixes. So it is important to make sure you have an up-to-date Linux kernel version. It’s worth knowing that in the case of any unpredicted system misbehavior from the leap second problem, the quick remedy for the CPU overheating was restarting services or rebooting servers (in the worst case). The second thing is to add proper support for the upcoming event. Leap second additions are announced some time before they are implemented, as it isn’t known exactly when the next one will occur for sure. If your systems use the NTP service though, the above is not necessary (as stated in https://access.redhat.com/solutions/2441291). Still, you should make sure that the NTP services you use are also up-to-date. Similarly, MongoDB expects no serious problems either. Many big Internet properties, however, introduced a technique to adapt to the leap second change more gracefully and smoothly, called Leap Smear or Slew. Instead of introducing the additional leap second immediately, the clock slows down a bit, allowing it to gradually get in sync with the new time. This way there is no issue with extra abnormal second notation, etc. Make sure you have your kernel up-to-date, NTP service properly configured and consider using the Slew/Smear technique to make the change easier. After the kernel patches in 2012, no major problems happened in 2015. We expect none this year either (especially if you take time to properly prepare).